I woke up every hour on the hour last night. I’m not entirely sure why. Is my body just that sore that it can’t stay in one position for a prolonged period of time? Or am I just that excited about each workout that my body awakens eager to fulfill my heart’s want? Ordinarily when I hit the pillow, I’m out. When I awake, I haven’t moved at all. This is definitely strange, and exhausting. I’ve also noticed that my body has already adapted to eating 3000 calories per day. At first I thought I would puke every meal. Now I’m starved an hour after eating. It’s a little crazy. I’ve lost two pounds of bodyweight, but already gone up a whole percent in muscle mass. It’s been four days. My temperament is fine. I’m still grumpy all the time so no changes there. I can’t believe I’m getting up this late again. I am a flurry of activity – pre-workout drinks, throwing on clothes, packing a gym bag, bolting out the door to the gym. Rob waves to me. I used to see Rob every day. I haven’t seen him in two months prior to yesterday. He asked me what I was doing yesterday, commenting that it looked rather intense. He and I had enjoyed the occasional workout together previously, though he would never stick with me, citing me as a little too “intense”. Still, it was always nice having someone to workout with so I quickly gave him the lowdown on Body Beast. He wanted in. Ten minutes in and my shoulders are screaming. Doesn’t take much with shoulders. At least Rob is screaming worse. That makes me feel better. Rob’s out. He simply can’t do it. I tell him to lower his weight or not use weight at all. He just waves me off and asks what tomorrow is. I tell him it’s Beast Cardio. He says he’ll see me next week. I chuckle and continue on, more motivated. I arrive back at my quarters unable to lift my arms. This makes blending a protein shake an incredible challenge, but I manage to prevail with only small amounts spilled down my chest. I cannot say enough about the glories of hot showers. My chest and triceps have finally recovered from day one. I still feel my back and biceps, and my calves are screaming at me. One of my hamstrings aches. I’ll have to watch symmetry and balance for sure. I think I’m slowly adjusting. I look at today’s corporate schedule. I have a full shift then will need to prep for a fleet op beginning at 2200. It’s slated to run until 0500 tomorrow potentially, which means I’ll just be back here at the gym afterwards, assuming I don’t wake up in a new clone of course. Lovely. Granted, I wouldn’t have any muscle aches then. Hmmmm. What have you been up to today? Have you faced any challenges? Do you need motivation? 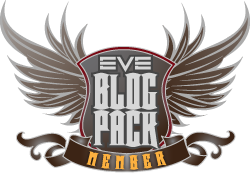 This entry was posted in Roc's Ramblings and tagged body beast, EVE Online, Roc Wieler. Bookmark the permalink. Ah I remember it well. The swinging of the arm from your shoulder to get enough height to be able grab the steering wheel…. and dragging heavily on it when you had to let go to change gear. Which led to the occasional interesting and unintended swerve. Darlin, you speak directly to my heart. I always prefer stick shift when driving ground vehicles … just not today.